Valves are used in the oil and gas industry to start, stop or throttle the flow by ensuring the safety and efficiency of the entire process. 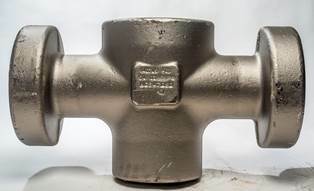 Since valve operating conditions are often extreme due to high temperatures and high pressure, valves should be of top-quality to meet the demands of the industry. The valve body protects the internal parts of the device and therefore is of critical importance for the good performance of the valve. Setforge supplies the oil and gas industry with durable valve bodies. Our components are made of 4130 / 4140 / F22 hot forged stainless steel for extra strength. Farinia Group is a leading manufacturer of quality components for diverse industries. Our international customers highly appreciate Farinia’s long-standing experience in material transformation, modern equipment and skilled engineers.